Equal Justice Under Law, a Washington, D.C.-based civil rights organization that fights systemic inequalities in the legal system, is suing the City and County of San Francisco and the State of California on behalf of San Francisco inmate Riana Buffin. Ms. Buffin was arrested on Monday, October 26, on allegations of grand theft of personal property and is currently detained in the county jail because she cannot afford her $30,000 bail. San Francisco’s fixed bail schedule, set by San Francisco Superior Court judges and ranking among the most expensive in the state, sets bail amounts based on offense and does not take individual circumstances or public safety into account, according to the lawsuit. Approximately 50 people per day and 18,000 people per year are booked into San Francisco County Jail. About 85 percent of inmates have not yet been convicted. Because they cannot afford bail, they can remain locked up for months while awaiting trial, often losing their housing, jobs, or children. The lawsuit argues that appropriate conditions of release — including pretrial release services and text message or phone call reminders of court dates — can save taxpayer dollars while also increasing public safety and court appearance rates. The lawsuit also calls for appropriate alternatives to pretrial incarceration such as electronic monitoring, intervention and rehabilitation programs, stay-away orders, and home detention. Since the beginning of 2015, Equal Justice Under Law has filed nine class action challenges to money bail systems in seven states. 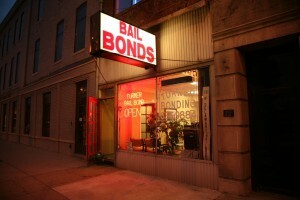 As a result, cities in Alabama, Missouri, Mississippi, and Louisiana have reformed their practices to end the use of secured money bail for new arrestees. The declaration of Sheriff Ross Mirkarimi, filed with the lawsuit, can be found here. The declaration of Public Defender Jeff Adachi, filed with the lawsuit, can be found here.